The Family Tracker app installed on a minor's Android phone was instrumental in providing police with the evidence needed to locate a missing child. The child's mother had previously installed Family Tracker on her son's phone so she could track him to make sure he was safe. One Sunday night the child had the SIM card from his phone removed and then disappeared for several days. The mother suspected he was with another adult the child was prohibited from seeing, but had no proof of this. 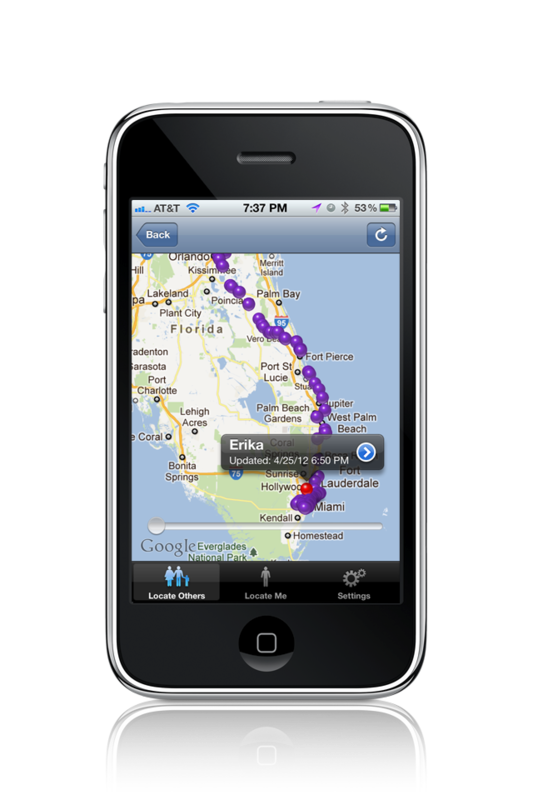 Using the "GPS breadcrumbs" that our application provides, she was able to provide evidence to the police that her son had been with this adult in the days prior to his disappearance. Within hours after providing this information to the police, the child was finally found walking alone in a very dangerous area of Atlanta at 3AM by a patrol officer. He is now safely home with his mother. More information about this case may be obtained by contacting the Alpharetta Police Department (Georgia) - Missing Minor Case #1204-0182. Elizabeth was willing to share her story to let parents know that it is perfectly OK to keep tabs on your children, and to track them without fear of invading their privacy. In cases like this, the ability of being able to locate your child is paramount. Her testimonial can be found here. Note - Both the mother and the child's names have been changed at their request to protect their identity.